Lunchtime Lipo refers to a type of liposuction done under local anesthesia	to permanently eliminate small stubborn areas of fat. This form of liposuction	is FDA Approved and can be performed to safely and effectively remove	small areas of excess fat from the body with less blood loss and quicker	healing. The procedure causes little or no discomfort, and is fast, immediate	and cost effective. Dr. Gallagher recommends this FDA-approved liposuction procedure for healthy, active	men and women who want to quickly remove fat and sculpt specific problem	areas in the thighs, hips, buttocks, stomach, arms, back, chest, ankles,	and calves. Most procedures can be done in about 1 hour. Dr. Gallagher will provide you with thorough preparation guidelines before	your procedure. If you are a smoker, you will be required to quit smoking	two weeks before and after. She will also mention that any blood thinning	medications are stopped such as Advil® or ibuprofen, Aleve® etc. Recovery is very quick. You will see more improvement each day as your	swelling subsides and your skin heals and tones. Complete recovery can	be expected in just a few short weeks, and you can typically resume your	normal routine immediately. In most cases you will need to avoid strenuous	activity for a short period of time after surgery. Dr. Gallagher advised	that patients wait a week before returning to strenuous exercise. As with all liposuction procedures, Lunchtime Liposuction risks may include	bleeding or infection, and minor skin irregularities upon healing. Complete	risks will be discussed during your consultation. The results of the procedure are permanent. Should you gain weight after	the procedure, you may notice excess fat in other parts of your body. Dr. Gallagher urges patients to maintain a healthy weight and stay dedicated	to eating right and exercising regularly to prolong satisfaction with	their newly sculpted body. Beyond Lunchtime Liposuction, Island Plastic Surgery specializes in a range	of body lift procedures, as well as	tummy tucks or abdominoplasty, mini tummy tucks,	breast enhancement and breast reductions, and many	facial surgeries including eyelid surgery and	facial enhancement injection procedures. At Island Plastic Surgery, we pride ourselves on giving personalized attention	and providing sensational results. 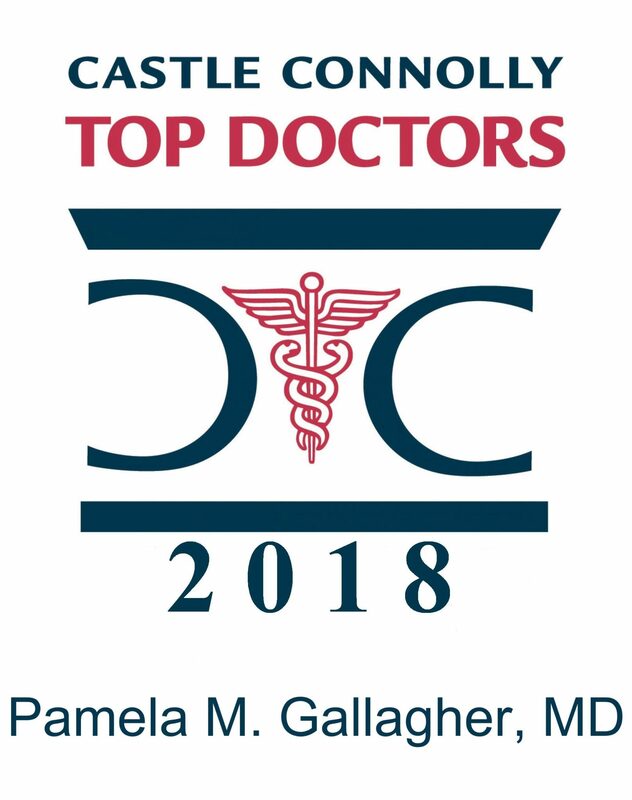 Dr. Pamela Gallagher is a board-certified	cosmetic surgeon whose artistic eye for detail and personalized attention	to her patients shows itself in the amazing and natural-looking results	she provides. To schedule your consultation with Dr. Gallagher, give our office a	call today at one of our two locations, Mineola and West Islip. Following your consultation	with Dr. Gallagher, your appointment can be scheduled at your convenience,	typically within 1-2 weeks.